Army Staff Sgt. 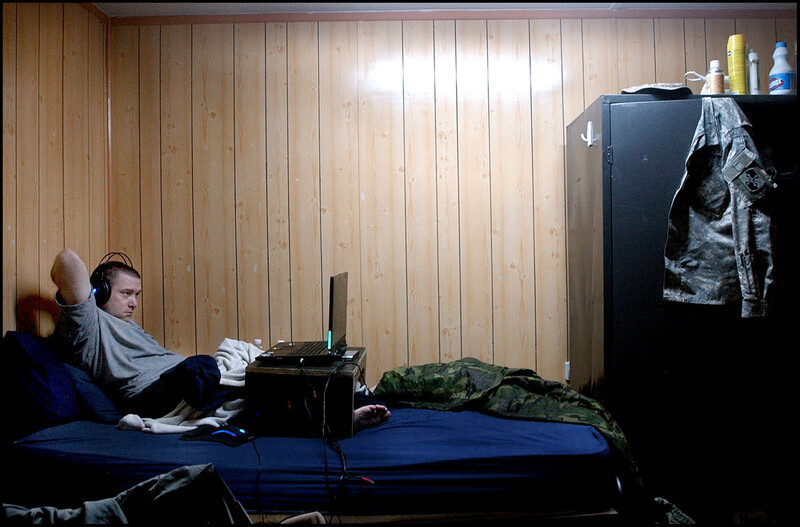 Jason Whitekettle, the automations noncommissioned officer in charge with Headquarters and Headquarters Company, 58th Infantry Brigade Combat Team, relaxes on his bunk at Camp Victory, Iraq, by watching a movie on his laptop computer. Many Service members in Iraq pass downtime by watching movies on their computers and trade movies among each other.